Awesome new opportunity in The Outlook neighborhood is a must see! Beautiful 6 bedroom, 4 bath including spacious master suite with 5 piece master bath & walk-in closet. Bonus lofted/flex space and laundry conveniently located upstairs. The main level comes with an amazing open floor plan with a great room, dining area, spacious kitchen with large center island,and a spacious study/den! Fully finished basement with second living space, 2 bedrooms, bath, and a flex room great for office space! Over-sized 3 car garage and large fenced back yard with patio for entertaining. Great location- close to shopping, restaurants, schools, and medical facility. 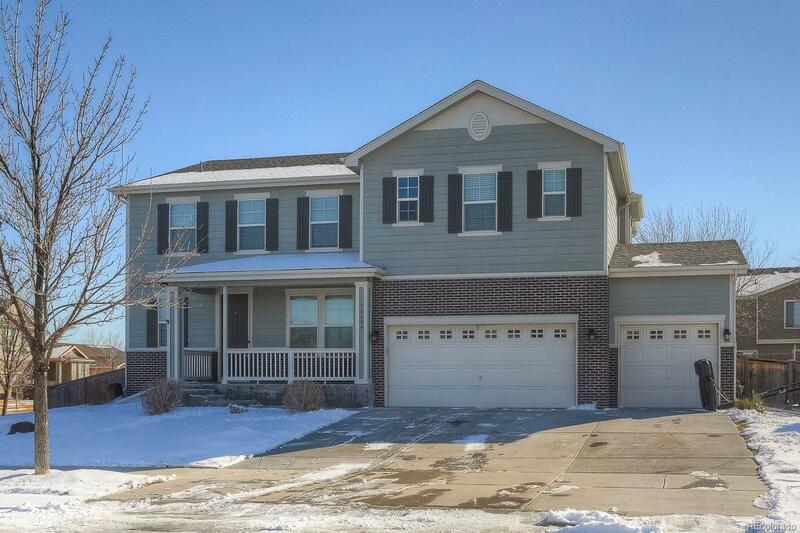 Enjoy easy access to E-470 and I-76 and only 5 minutes to Buffalo Run Golf Course!